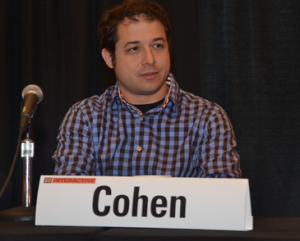 On Friday at SXSW Jason Cohen the founder of WPengine, AustinPreneur and Angel investor sat on a panel with other local Texas angels to talk about angel investing. The standing room only crowd was made up of people who want to be angel investor and of course startup founders who want the inside track on what angel investors look for. Cohen has invested in several companies and prefers a hands on approach. In the video below he says you can treat angel investing like a numbers game. The more deals you get into, you could sit back and relax and probably see some results. But what Cohen, and good angels do, is help cultivate the companies and the founders. Cohen also warns that good angel investors need to have an investment thesis. They need to create a plan for their investment strategy that aligns with the things they know and where the investor can understand the deal, the idea, the team and the potential. Investors should then target deals that fit directly into that thesis. Angel investors shouldn’t be looking for the get rich quick ticket. “The really hot ones go fast and they’re invisible” Cohen told the audience. He likens that to real estate in Austin and San Francisco. If you want prime real estate you’re buying it from someone already in it.